Having returned home in time for the US Thanksgiving holiday, and now with Christmas already here, we are busily working on the year end project close activities. The Braveheart returned to New Zealand on Dec 18th, our equipment was moved to the warehouse on Dec. 19th. The customs broker will collect the shipment after the holidays for return to San Francisco. 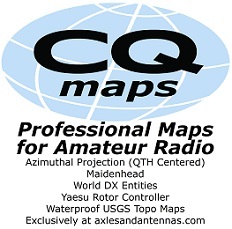 We are designing the QSL card and expect to have it to the printer in the next few weeks. The cards will be printed in, and mailed from, Europe. You can expect to see them sometime in February. Of course, buro cards will take longer to arrive. We will notify the DX bulletins when the Direct Mail cards are posted. Happy Holidays from the VP6D team. In order to achieve a safe departure from Ducie Island – at 15:37z the skipper directed us to shut down today. We are beginning that process as I type this note. It’s been raining all night, with 20+ knot winds. The ship is about 300 meters offshore, the forecast indicates continuing 20+ knot winds, 2 – 3 meter seas. 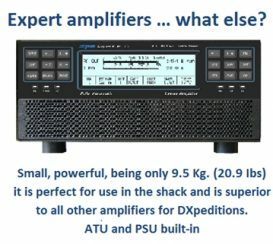 We are collecting all the logs and will send to the EU QSL management team (hopefully before we leave), they will remove FT8 dupes and refresh the server before turning on OQRS. We want to thank everyone for their support and hope we met your expectations. The weather is cooperating, with only a few rain showers over the past 24 hours. We’re planning our departure and station take down process. We are on schedule to meet the departure plan providing the weather continues to cooperate, however, if the forecast suggests unfavorable weather or sea conditions on Thursday and Friday, we may move up the departure date. On Weds 31 Oct we remove the EME and 160 antennas and any equipment not essential for the remaining operation. On our Thursday 1 Nov we will take down the CW camp and all non-essential camp structures, pack all VP6D equipment, and load the CW camp onto the Braveheart. On Friday we’ll finish deconstructing the SSB / base camps, continue loading the boat and depart Ducie Island at 18:00 (local). We will unload the entire log before we leave the island, most of the FT8 dupes will be removed during that upload. OQRS will be activated after the upload. The team appreciates the cooperation we’ve received from the DX community. The pilots forwarded your comments and suggestions. It’s impossible to respond individually, be assured we read the summary of your comments and have acted on several of these where feasible. encourages them to work harder. Following sunrise on the morning of November 1st, 1100z, the CW stations and the CW camp will be dismantled. We will try to keep some stations on the air till the last minute, but expect radio operations to cease sometime around midday. We continue to operate on all bands that are are open. – Earlier today we took the N1MM log, merged all the FT8 logs, and uploaded to our log server at VP6D.com ~81,000 QSOs. We will do a complete log analysis and audit after we leave Ducie. 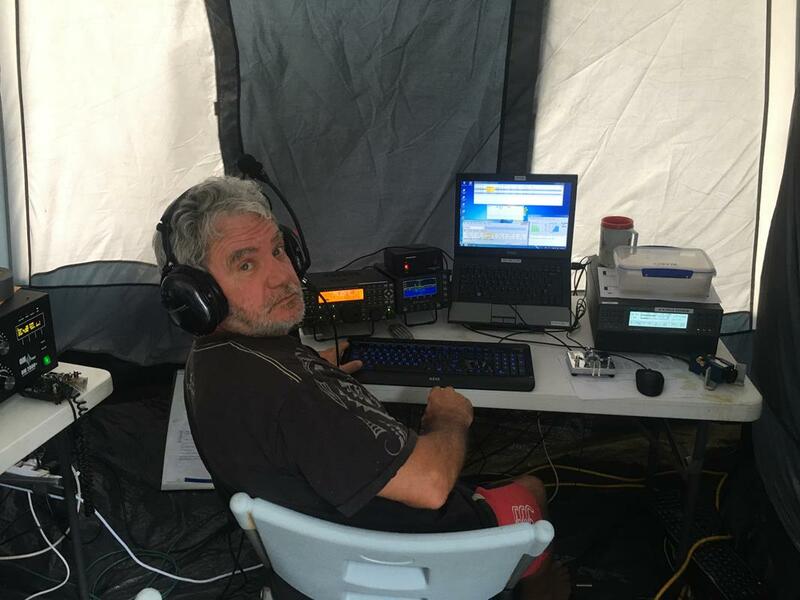 – 6m EME – last night we made 3 more contacts. We will continue operating 6 m EME on moonrise for another few nights. Remove all non essential equipment from the island. Above plan dependent on the weather remaining calm. However, we are seeing far too many dupes. People are working us and a few minutes later working us again, the ops are getting a bit fustrated. 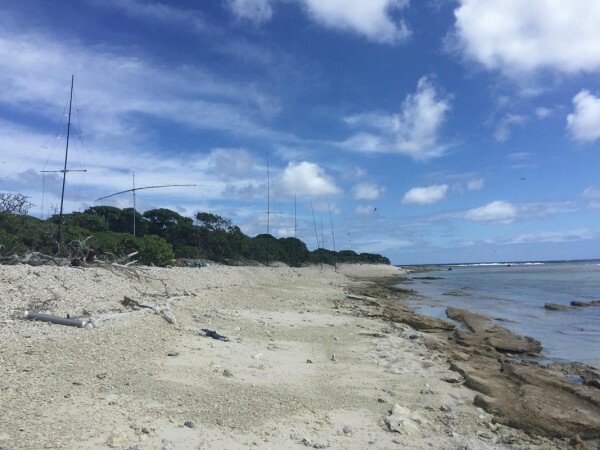 DXA availability depends on 2 Ducie Island networks that are subject to intermittent outage. If either network drops out DXA does not do a refresh to pick up missing calls. Please check the VP6D log before duping us on the same band / mode. We really need your help with this request. We have at least 7 more days on the island. 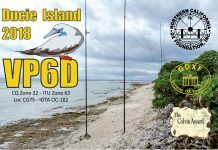 VP6D will be operating the contest during CQWW SSB, good luck in the contest. – It’s been raining, we’re waterlogged. In 24 hours we expect a significant storm to pass through, with heavy rainfall and up to 25 knot winds with potential for stronger gusts. – We had some problems with the BGANs dropping off the satellite which is why DXA has occasionally not been updating in real time. We presume this is due to the WX and wet foliage. We moved both BGANs into the HQ tent, they seem to be performing better. 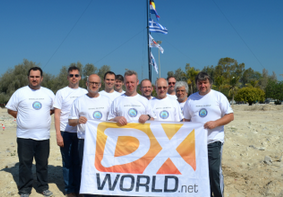 – We worked on the log this morning, over 27,000 Qs, 9,900 unique calls, 4,000 FT8 Qs, 141 DXCC entities. 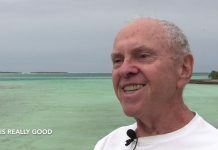 – We know some FT8 Qs are not in the log yet, working that problem. 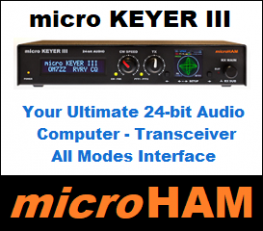 – FT8 odd/even resolved (we think), Control Key conflict between programs. – Pileups continue to be energetic and reasonably well behaved. One request on SSB, please do not call over the station we’re working. – The team is doing their best to get you in the log. – Trying to get the EME antenna assembled before the WX moves in. – Keep the pilot reports coming in. Calling CQ on 20 FT8, a few callers using wrong mode. Must be WSJT-X configured as a Hound. Raining on Ducie most of night. DXA caught up. Will reposition one BGAN at daylight. FT8 odd/even resolved. Log upload later this morning. at SSB camp. Low bands antennas installed at the CW camp. we don’t believe it’s a hardware issue. 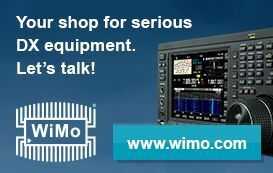 – We had a report of an audio problem with 40m SSB, we will investigate. contacts are in DXA they are in the log. 80m & 160m operations began overnight, but the 160m antenna is temporary. They will work on the 160m installation to improve it over the next day or so. Nearing 11,800 total QSOs in the log. The main camp and kitchen are fully established and supplied with food / water. The generator sites are built and supplied with fuel. The SSB camp, located at the main camp, is setup with 4 stations. 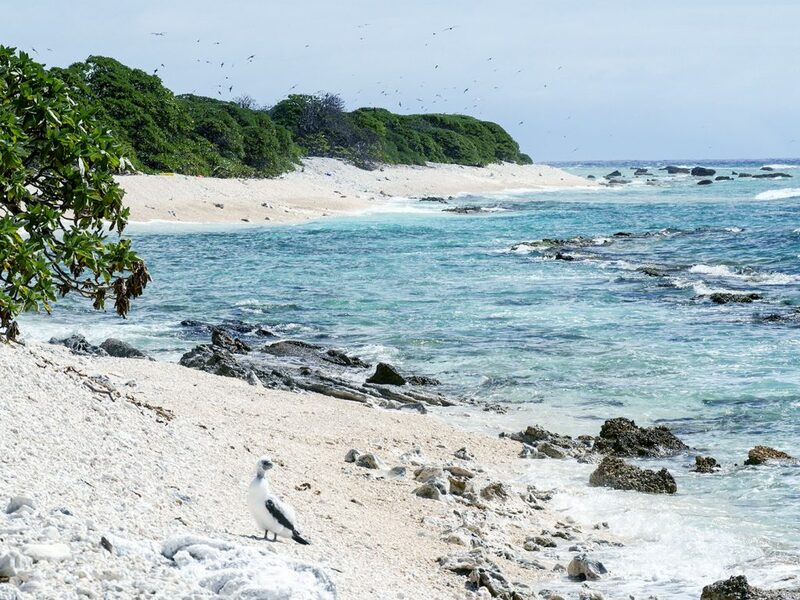 It is this camp which has been making all the SSB /CW QSOs using VDAs. SteppIR beams go up today. Today the CW Camp and antennas are the priority. This camp is about 3/4 mile from the main camp. Equipment for this camp was landed at a different location. About a 30 minute walk through the bush between camps. There is very little beach at high tide. Over the next 2-3 days we’ll complete the antenna work, including 30, 80 and 160. Because of the undergrowth stringing radials is a challenge. 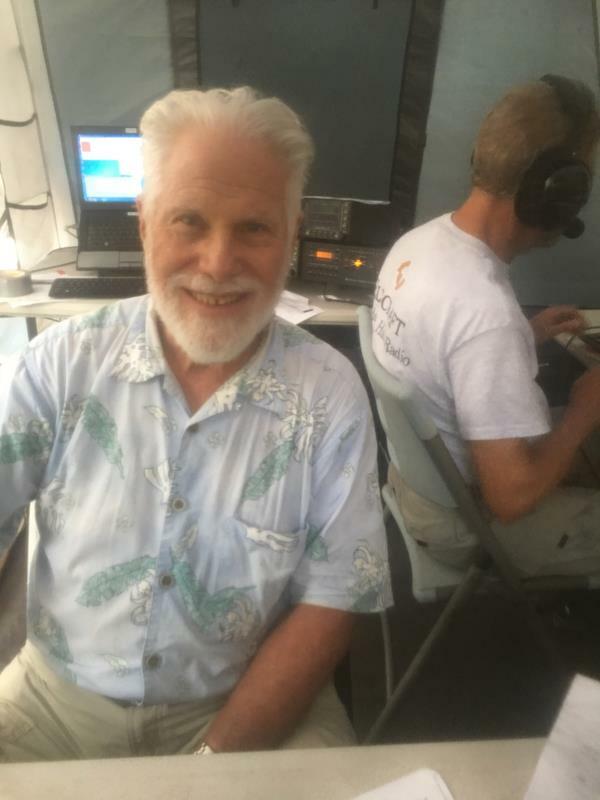 SSB 40m 4 Square is complete, CW 40m 4 Square almost completed. It’s been very hot and humid. We’ve been told to expect some rain possibly later today, heavy at times. Large 8 person sleeping tents house 3 men per tent, plenty of room. Signals on this end are loud. The team is in good spirits and eager to get into a routine. We will upload the log this morning. When we put the/MM log online there may be some errors with the times, we’ll correct them, no need to send e-mails. We know DXA dropped out a few times, this was due to power at the network switch. The plan is to install a UPS on the network switch. 2 Braveheart crew members will remain on the island to support the operation and generators. 10:20 Local time Ducie Is. (1820Z): SSB tent finished, stations built, & SSB antennas will soon be completed. The CW station/tent is a km away & will be tackled next. Much to do on the CW operating positions, but things progressing smoothly. We will not be on the air until we get the camps and essential antennas installed. 2018-10-20 13:38Z: 5:30 am local time on Ducie, . We will be spending most of the day setting up a second camp for the CW stations about 1 km away from the main camp. There will be limited radio operations during the day as our focus will be the remaining setup activities. 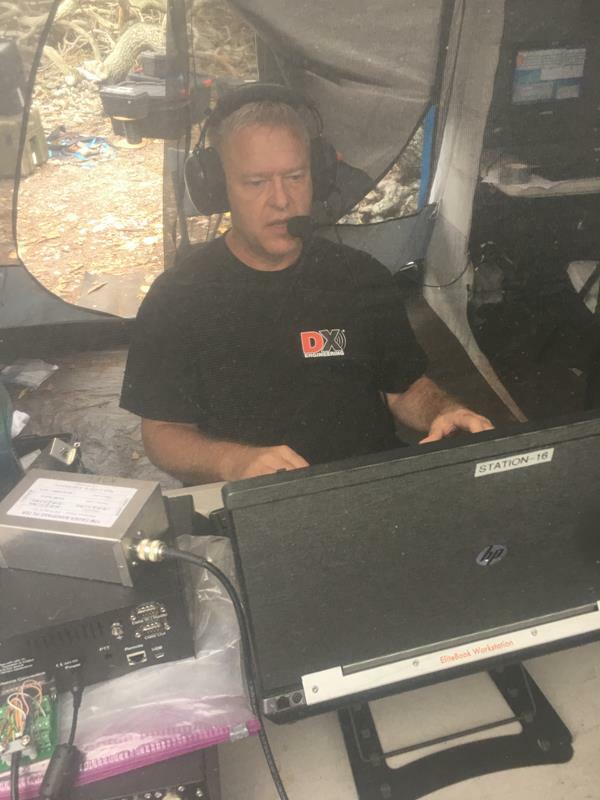 At 04:18z, VP6D started activity on 40CW followed by 20SSB. K4SC & K4HC first in log. On island setting up camps. 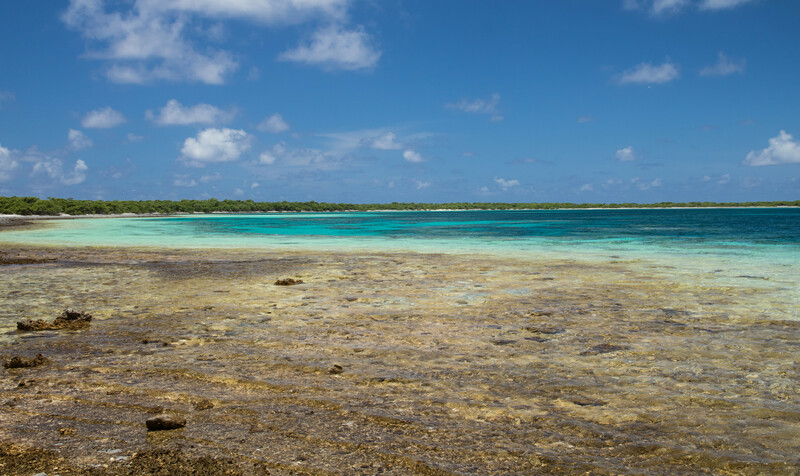 We arrived Ducie Island. Skipper will survey for landing positions. Breakfast is over. First landing team ready to go ashore. 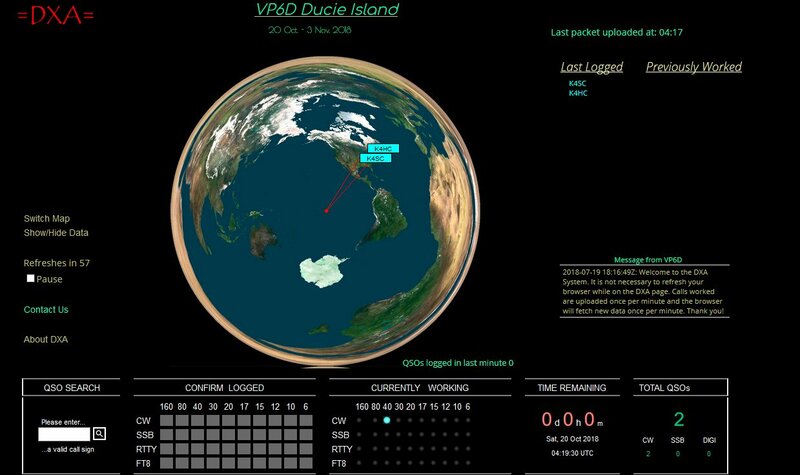 Team VP6D arriving offshore Ducie Island soon. We will arrive Ducie early Friday morning. Breakfast at 5:30, then begin off loading equipment. Planning all day to build the camps. We’re just passing Henderson Island. Wonderful views of the surf breaking along the coastline. The team is as ready as we can be. We begin our travel this weekend, first meeting in Tahiti. Nigel Jolly will not be with us on the boat, his son Matt will be the skipper. Nigel will meet us in Tahiti on Oct 15th, he will then fly to Tonga. He was awarded a last minute contract to bring supplies to Tonga, his other ship Claymore II has the job. Nigel must be in Tonga to arrange the Customs and Immigration formalities. Thanks for all your help with the bulletins and getting the word out. 2. Follow us on Twitter and Facebook – updated from the ship and island. 9. We are uploading the log only to VP6D.com – there is no Leaderboard. 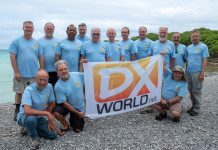 There will be at least 3 DXpeditions operating from the Pacific during Oct/Nov. Ensure you are in the correct pileup for the DX you are trying to work. 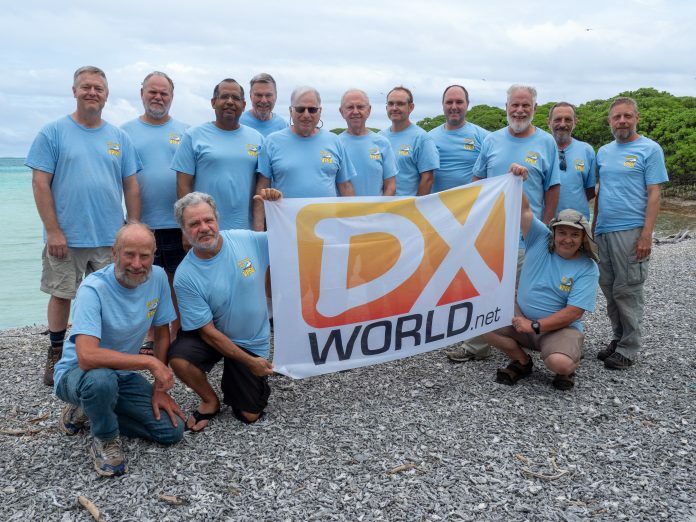 If you see your contact on VP6D’s DXA that contact is in our log.